In this competitive world, getting natural traffic and leads from search engine is not an easy matter. Basically, search engine prefers local business to show among the search. If you have a local business then you should be listed in a business listing website. 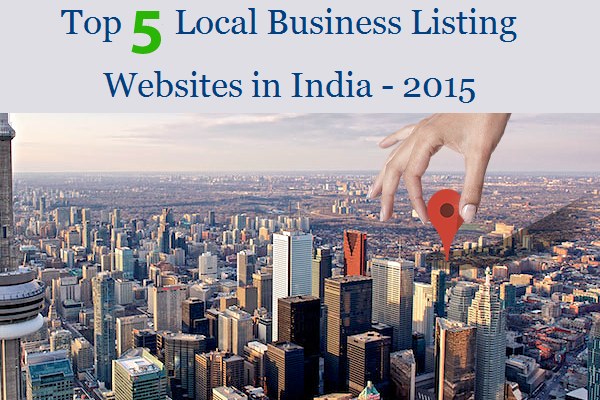 In India, There has many business listing websites are available. If you count them then you can understand that it could be uncountable. Then where should you list your business? Here I am giving India’s top five business listing website’s name and their detail descriptions with all features. TradeSights, the ultimate name of your business listing platform. TradeSights launched middle of 2015. But now within a very little time, it got the popularity. Many extra features give it many advantages. Some features you will get only on TradeSights not any other business listing platform. TradeSights gives you a free user page with your business name. Suppose your business name is trade then your user page URL will be tradesights.com/profile/trade. Anyone can access your business details by going through the link without any registration. It works just like a website. If you don’t have any business website then you can use tradesights.com profile as a website. TradeSights comes with all in one facility. You can combine all of your social media details in one page. Link your social Medias with your tradesights.com account, any visitor can see your business details as well as your social media details on one page. You also observe your all social media activities through your tradesight.com profile page. Above mentioned two features are new among all business listing websites in India so, it got the popularity within a little time. TradeSights offers a 100% free service for your business. TradeSights is the best business listing platform in India. So, if you are looking for a free business listing then tradesight.com is appropriate for you. IndiaMart, a well-known name for business listing in India. It also has free services, but it is limited. For full services and best results, you have to pay. With a good management and good search engine, it became popular. You can list your business here easily . Just register your business and waiting for a business response nothing is in your hand. Foursquare is a local search and business directory service mobile app which provides a personalized local search experience for its users. It gives same features like indiaMART. MapQuest comes with some extra features. Use MapQuest for driving directions and maps. You can see local traffic and road conditions, find nearby businesses and restaurants, plus explore street maps and satellite photos. JustDial is one of the most popular local search engines. It updates information on all B2B Or B2C. It is too much popular in India. It gives the same services like indiaMART.